We can probably all agree that there’s little as refreshing on a hot day than a tall glass of lemonade. What could be more satisfying than that? Oh, we have some tips! Some recent changes at the Hard Rock in Baltimore’s Inner Harbor have resulted in a fresh new menu with some inventive cocktails perfect for cooling off on a steamy Baltimore afternoon. 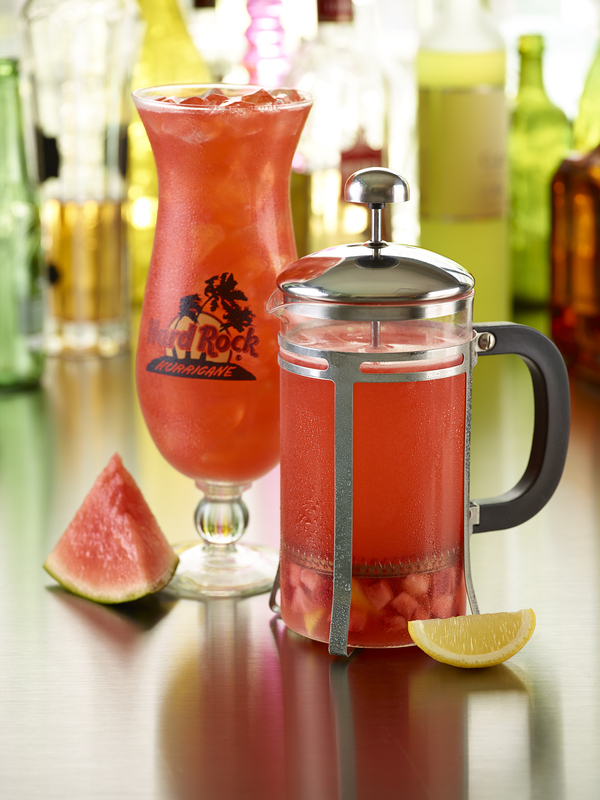 While there are a ton of new drinks to sample at Hard Rock, we are pretty excited about these fruity riffs on lemonade. Served in a repurposed french press, these drinks continue to be infused with fruit even once they’re on your table. 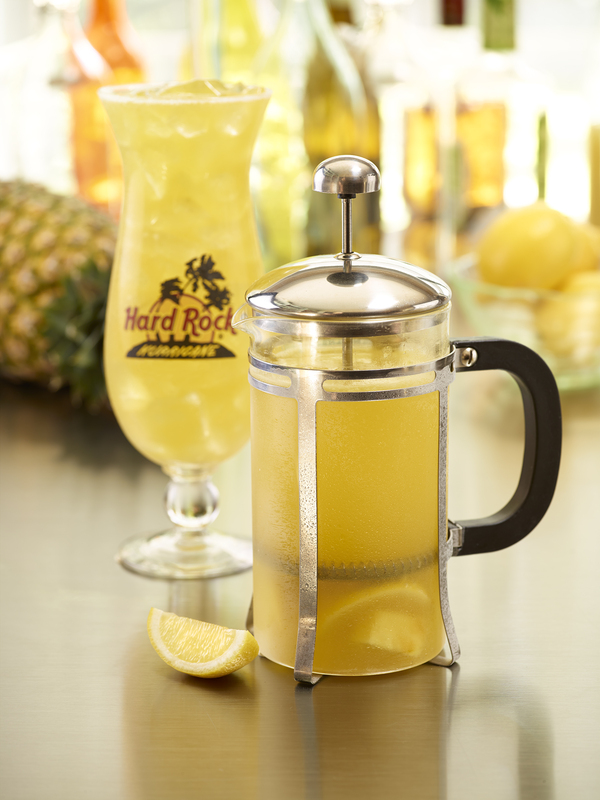 Tropical Pineapple Press: Fresh pineapple chunks and lemon pressed together with BACARDI Mango Fusion Rum, Finest Call Mango Puree and made from scratch lemonade. Watermelon Wave Press: BACARDI Dragonberry Rum, Cointreau Orange Liqueur, Finest Call Watermelon Puree, made from scratch lemonade, fresh lemon and strawberries. 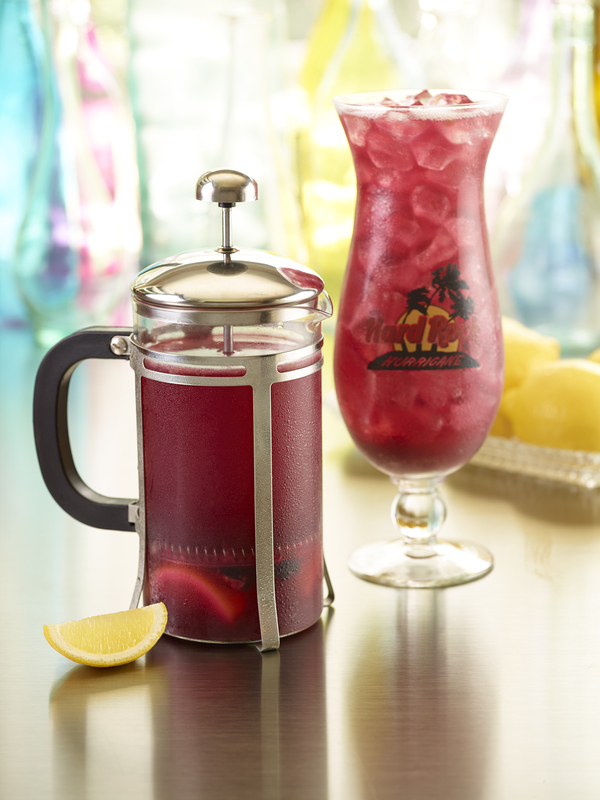 Blues Berry Press: BACARDI Wolfberry Rum, homemade lemonade, fresh blueberries, blueberry puree and lemons pressed to create a sweet summer refresher!